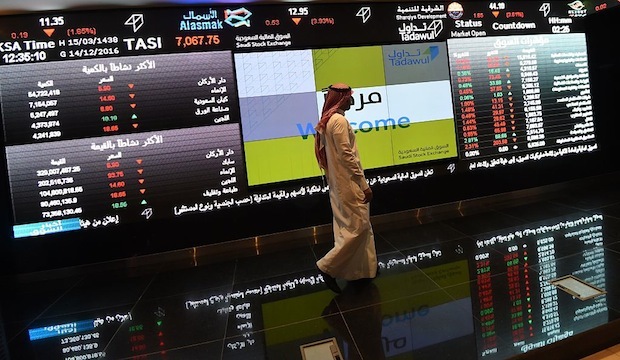 Equity index compiler S&P Dow Jones said it was consulting investors on whether to upgrade Saudi Arabia to emerging market status, a new sign of growing interest in the kingdom among global fund managers. An upgrade by S&P Dow Jones could draw more foreign money to the Saudi stock market, although considerably less than the amounts linked to similar upgrades by MSCI and FTSE Russell, fund managers believe. S&P Dow Jones has been considering a Saudi upgrade for several years but decided against one last year because of limited market access for foreign investors. The kingdom is currently ranked as a “stand-alone country”. After reforms such as an easing of licencing requirements for foreign investment in stocks and changes to custody rules, the index compiler has begun gathering feedback from investors, it said in a statement late on Wednesday. It is asking whether Saudi Arabia should be upgraded, whether that should happen all at once or in stages, and whether the change should occur as soon as September this year, in 2019 or later. FTSE Russell decided in March to begin upgrading Saudi Arabia in March 2019, which fund managers expect will ultimately attract about $5bn of “passive”, index-linked money. MSCI will decide on the issue in June; an MSCI upgrade could attract around $10bn in passive funds. S&P Dow Jones estimated Saudi Arabia could ultimately have a 2.57 per cent weighting in its emerging benchmark index. It did not immediately respond to a question on how much money is benchmarked to that index.